Painting can be a messy endeavor -- no matter how careful you are, you might sprinkle, drip or spill paint in places you never intended. If you have paint to remove from a kitchen appliance, take heart. Kitchen appliances are designed to take a lot of scrubbing and cleaning, so most paint messes, even old, dried paint, can be removed without too much effort. 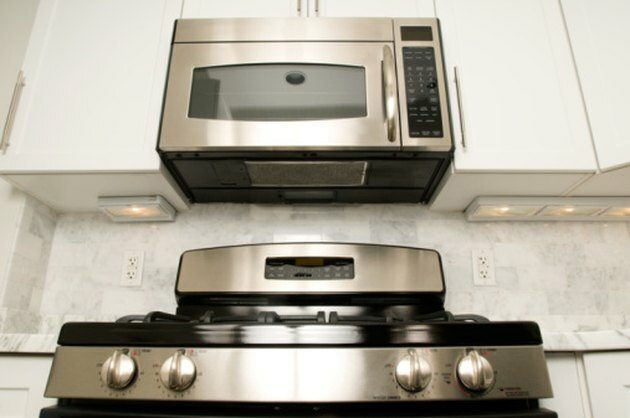 Kitchen appliance are designed to be cleaned often. Wipe paint away while still wet, if possible. Water-based paint will clean up easily with a damp rag before it dries. Use mineral spirits to wipe up wet oil-based paint. Scrub away dried, water-based paint with liberal amounts of hot water and an abrasive sponge. 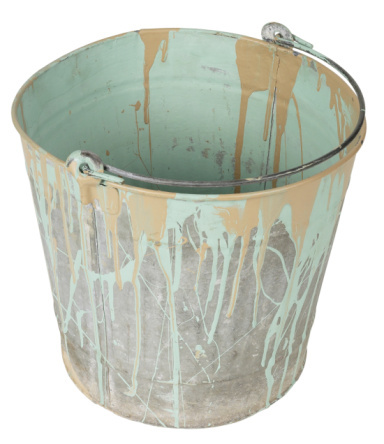 Hot water softens even dried paint, and using plenty of water helps lift it from the surface. This works best if the paint is only a few days old. Apply rubbing alcohol to dried paint and scrub it liberally with an abrasive sponge or rag. Reapply the rubbing alcohol until the paint starts to soften and rub away. Scrape stubborn dried paint off with a plastic paint scraper, edge of a credit card or even your fingernails. Scrape away as much oil-based paint as possible as in Step 4, and then try removing the rest with acetone or nail polish remover containing acetone. Only use acetone on unpainted surfaces, such as plastic, stainless steel or glass. Buff the appliance with non-abrasive cleaner after removing the paint to restore shine. How do I Remove Paint From a Fiberglass Shower?